Sharing a feminine and masculine graduation card made with my own homemade clipboards! 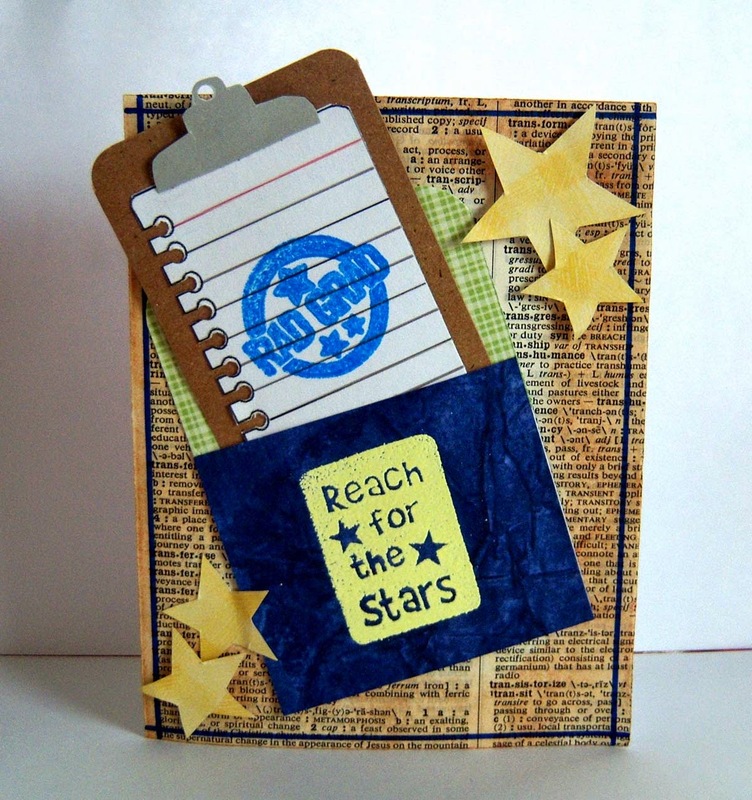 Here's the card with the mini clipboard pulled out. To make the clipboards I simply copied a clipart clipboard to Word and then re-sized the top part to fit my need. After printing it out I used it as a pattern to make my own clipboards without dies! The board part is simply kraft cardstock with rounded corners. You can find lots of free notebook paper printables on-line. Awesome cards, Esther. 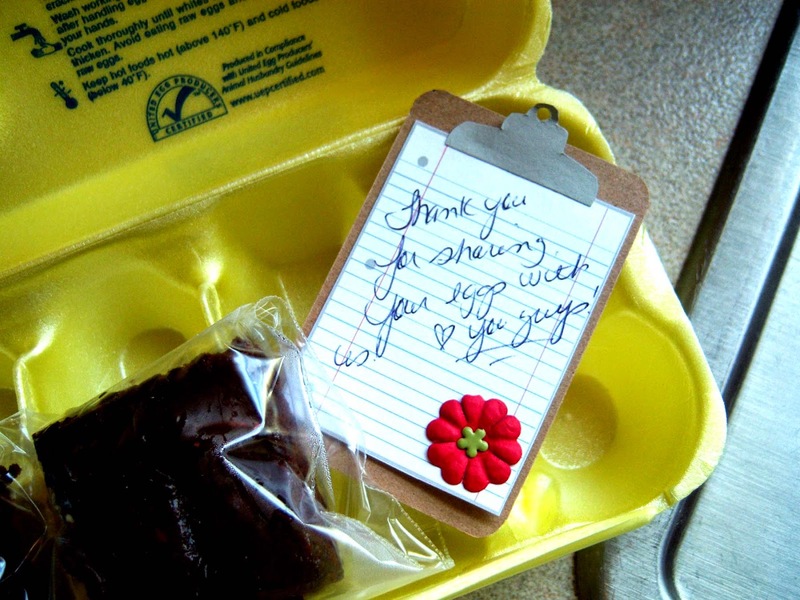 Thanks SO MUCH for stopping by to share them with us. It's always such a treat to have you join us. Hope you're having a blessed week. Thanks again for playing along! 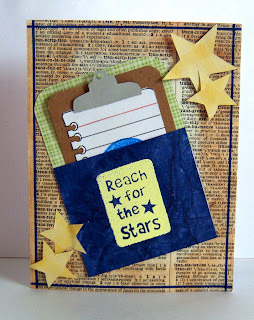 Dictionary pages, pockets and stars really make a beautiful card. Thank you for sharing this fabulous art with us. Your participation this week at WAW is greatly appreciated. Just awesome! I love that you made your own clipboard with a die! I have been wanting the die for quite some time! Love how you made smiliar cards look so different for a girl and a boy. I make a grad card last night for one nephew and have to do another ne tonight for his brother. How creative!! I really like your clipboards - thanks so much for sharing how you made them. 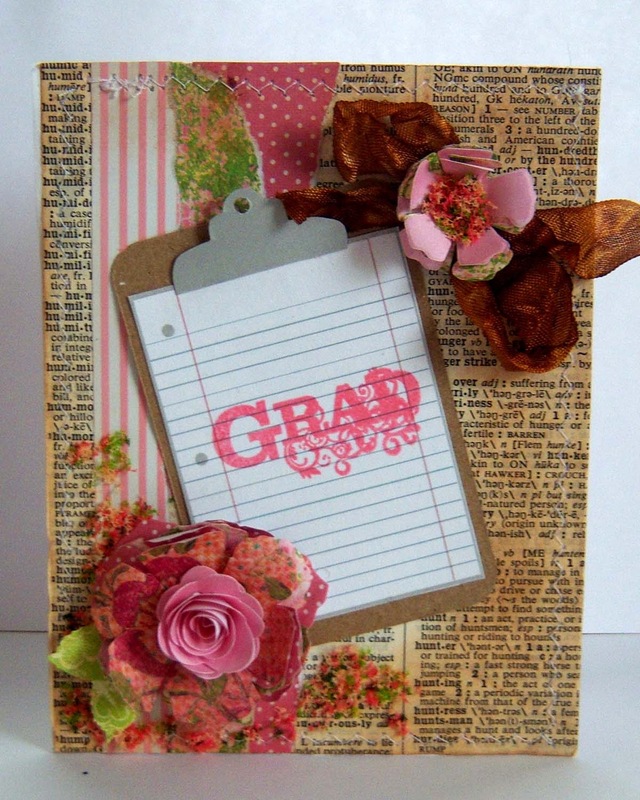 Your graduation cards are fantastic! I'm sure the recipients loved them. Thanks so much for joining us at Word Art Wednesday.